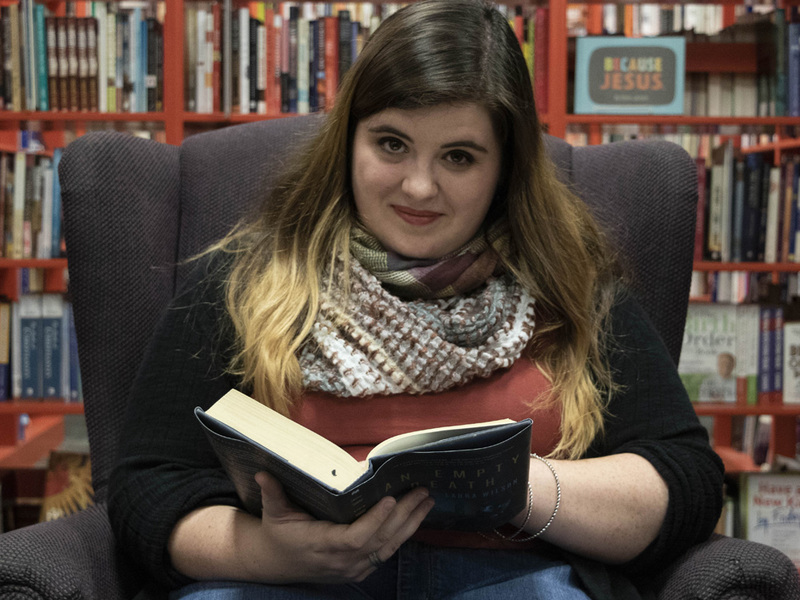 Christy Duprey is a graphic artist, and a staff writer and podcast producer for Pine Reads Review, an online publication for young adult literature showcasing new and established writers. She has also interned with Sonora Review and volunteered at the Champlain College Young Writers’ Conference. Currently a senior at the University of Arizona, Duprey created the podcast Pine Reads Pod Reviews, which invites their interns, and guest hosts, to review the best and latest young adult literature. On September 27, author Dhonielle Clayton —cofounder of Cake Literary , a literary development company, and the chief operating officer of the nonprofit We Need Diverse Books —made quite the splash in the Sonoran Desert of Tucson, Arizona. Clayton, whose novel The Belles (Freeform, 2018) was recently recommended for the 2019 CILIP Carnegie Medal, came to Tucson at the invitation of Pine Reads Review  and with the support of a grant from Poets & Writers’ Reading & Workshops program. 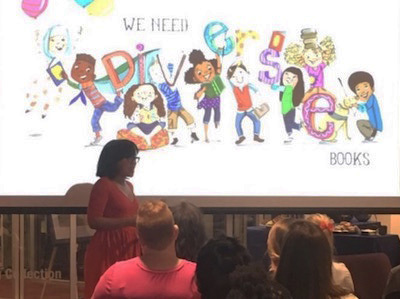 She was able to organize two events at the University of Arizona, highlighting her accomplishments both as an author and an advocate for increasing diversity in children’s and young adult literature. The evening talk attracted members of the community ranging from teenage fans to teachers and librarians, as well as local writers hoping for insight into the publishing industry. In addition, Clayton held a workshop earlier in the day with the university’s publishing class to offer wisdom on the ins and outs of “the business” to juniors and seniors. In an environment where students are frequently pushed to—and often beyond—their breaking points, her advice was refreshing. She advocated for slowing down, for taking the time you need to get the writing right and take care of yourself. A round of chuckles followed her pronouncement: “There are days where you just have to be disgusting and watch Netflix, and then the next day you’re back to the grind.” It was a breath of fresh air to a room full of young writers hoping to enter an industry where burnout is common and stress levels are often high. Support for Readings & Workshops in Tucson is provided by an endowment established with generous contributions from the Poets & Writers Board of Directors  and others. Additional support comes from the Friends of Poets & Writers . Photos: (top) Christy Duprey (Credit: Victoria Pereira). (bottom) Dhonielle Clayton at the University of Arizona (Credit: Stephanie Pearmain).